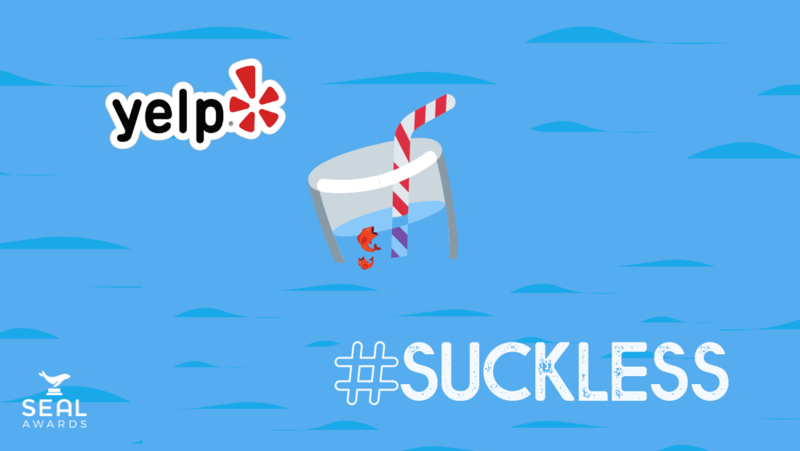 April 8, 2019 – Today the SEAL Awards announced its request that Yelp enhances its listings to highlight restaurants with “straws upon request” programs. Americans use more than 170 million plastic straws every day (Source: Technomic / New York Times). That adds up to 63 billion straws a year. Plastic trash spreads pathogens into the ocean, which in turn can infect sea life. (Source: Simon Reddy for Pew Trust) Straws, which have been in a human’s mouth, are that much more likely to spread human pathogens to ocean animals. Yelp has the opportunity to build on this groundswell by highlighting the restaurants taking voluntary actions for the environment, and helping the public to reward companies for their initiative. Easy public relations win for Yelp. Restaurants are an important segment for Yelp, representing 14% of advertising revenue. In the same way “Claim Your Business” acts as a high converting ad sales channel, the “straws upon request” listing update presents an opportunity to engage with restaurant owners and highlight Yelp’s environmental leadership. Very low cost and low-risk implementation. The SEAL (Sustainability, Environmental Achievement & Leadership) Awards launched in 2017 and is an awards-driven environmental advocacy organization. Our core beliefs maintain that environmental progress requires true leadership, leadership deserves recognition, and recognition is a form of accountability. Today Yelp announced a ‘green practices’ initiative to highlight restaurant sustainability efforts and reduce plastic waste. SEAL Awards is thrilled to see this initiative exceeds the scope originally envisioned in our #SuckLess campaign, and we congratulate Yelp for demonstrating impactful corporate leadership. We look forward to seeing how this initiative will empower consumers to take sustainability into account when making a restaurant selection, driving a shift toward greater ecological practices throughout the industry. For more information about Yelp’s initiative, please visit their corporate blog.